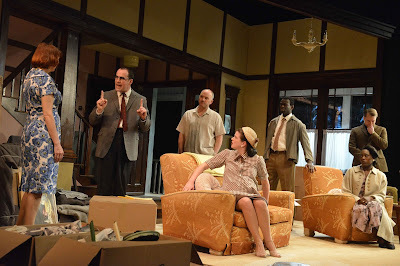 26th April 2016: Clybourne Park, written by Bruce Norris, was a hot ticket when it was first performed in the West End in 2010, and returns to the UK now for this touring production, beginning in Colchester and moving to Guildford, Cambridge, and Oxford in the coming weeks. The play centres around a sought-after house in the titular Clybourne Park, a suburb of Chicago. The first half is set in 1959 and the second in 2009, with several of the characters in the second half acting as direct descendants of those in the first. Both acts deal with the contentious issues of property ownership and race relations in the US, with the first half focusing upon the arrival of a black family within a mostly white neighbourhood, and the second upon a white family moving in to the same, now mostly black neighbourhood. Although set in the US, the questions of cultural appropriation and gentrification remain key issues in London and the UK alike, and the story provides a survey of a range of opposing viewpoints, whilst exploring the ways in which such issues still struggle to be expressed even in modern-day, supposedly more ‘enlightened’ times. The cast all perform their dual roles in the story with ease, switching flawlessly into their modern-day counterparts after the interval. Rebecca Manley is particularly good at moving from the heartbroken Bev in the first half to blithe lawyer Kathy in the second, and makes the most of both characters’ comically naive responses to the tension surrounding them. Gloria Onitiri is outstanding as browbeaten housekeeper Francine and then feisty housing committee member Lena, turning the indignities she is subject to in the first half on their head through her passionate speeches in the second. Wole Sawyerr also displayed some truly excellent comic timing in his dual roles as Francine’s gently polite husband Albert and the more laidback, quietly confident Kevin. Considering the show is Pulitzer-prize-winning, and has received rave reviews elsewhere, I was surprised, however, that I didn’t enjoy it more. Perhaps it is reflective of how quickly conversations around race move on, but to me some of the sentiments expressed felt as if they were already out of date, particularly the sense that all jokes have the potential to ‘offend’. Norris writes that his shows often draw upon real-life arguments that he has lost, and at times the arguments in this show did feel obstinately repetitive, with the characters merely ciphers for opposing viewpoints rather than fully-fleshed out individuals in their own right (this was particularly true in the second half). Whilst the joke in both halves is clearly meant to be upon the squirm-inducing Todd/Jim, whose views are objectionably retrograde in both time periods, it also seemed counterproductive to me that he was the character given the most time to air them. Nevertheless, if you’re looking for a provocative and thought-provoking show, this is definitely worth a watch. 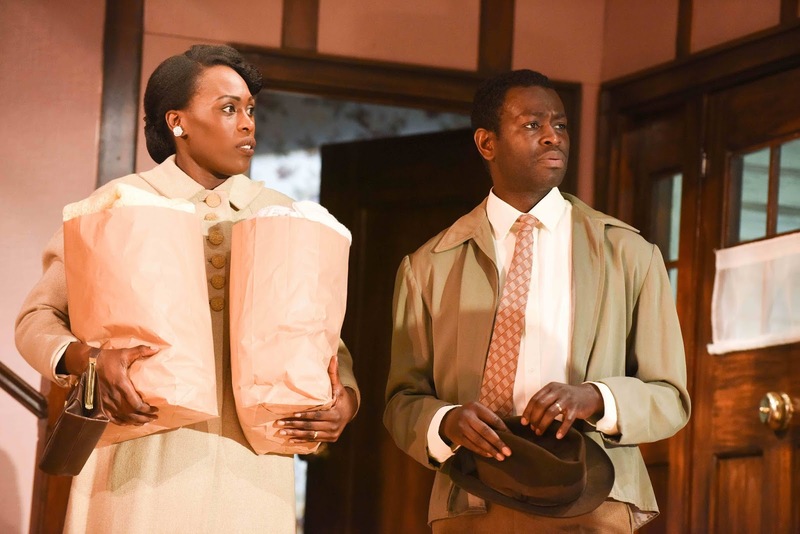 It’s very slickly-produced and expertly-performed, and whilst I didn’t agree with the way many of its arguments were presented, the show nevertheless reminds us of the importance of having these conversations in the first place.